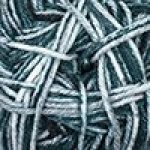 Anthem Chords is a soft, affordable yarn in 100% acrylic that's machine washable and dryable. Use this worsted weight yarn for everything from afghans to kids' clothes to sweaters, accessories and pillows! Anthem Chords is available in a multitude of solid colors, so there's something to please everyone!